Everyone recognizes the lighthouse and that is, of course, everyone's reason for coming, but the village itself while commercialized to the hilt is an attraction in its own right. 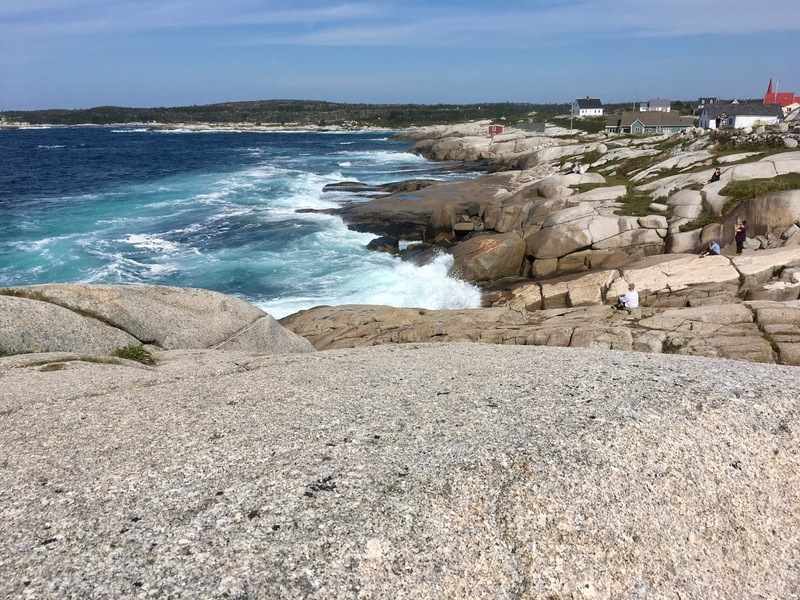 One had to watch for traffic and posted signs encouraged tourists to respect private property and be cautious when near the lighthouse. 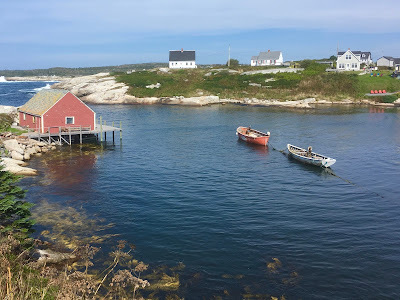 Still, if one waited it was possible to snap a number of photos without the ever present tourists! 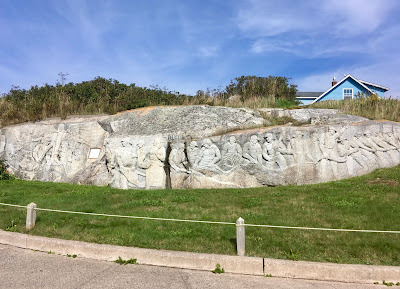 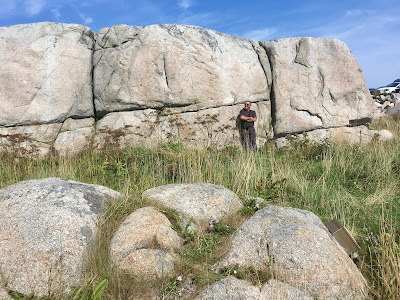 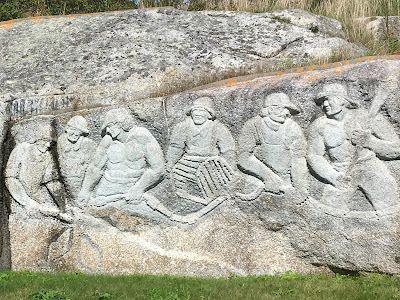 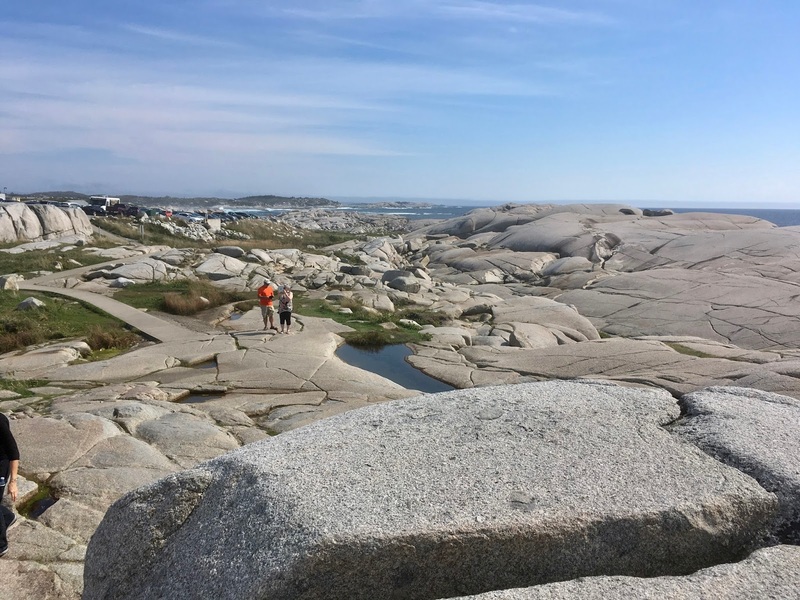 When William deGarthe retired at Peggy's Cove in the 1970s he decided to "release the figures sleeping in the (granite) rock for over 10 million years". It took him six years, but in all he released thirty figures. 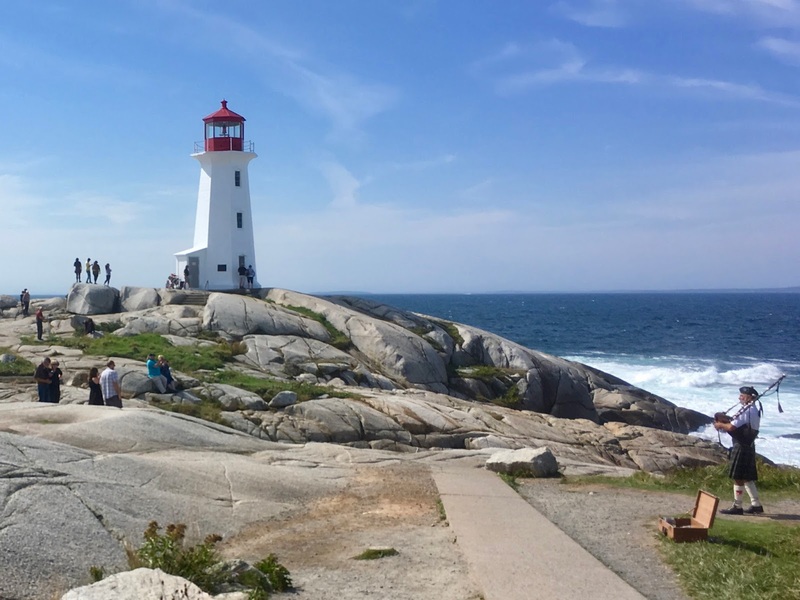 The lighthouse draws visitors from around the world and how the locals cope with the influx is beyond comprehension. 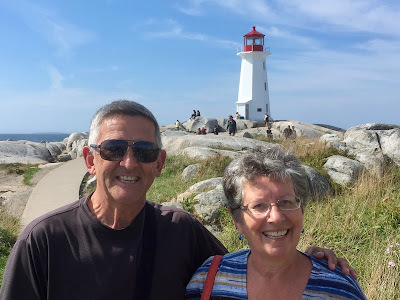 We came in early October - well passed the official tourist season - and yet inside of sixty minutes we counted the arrival of seven tour buses. 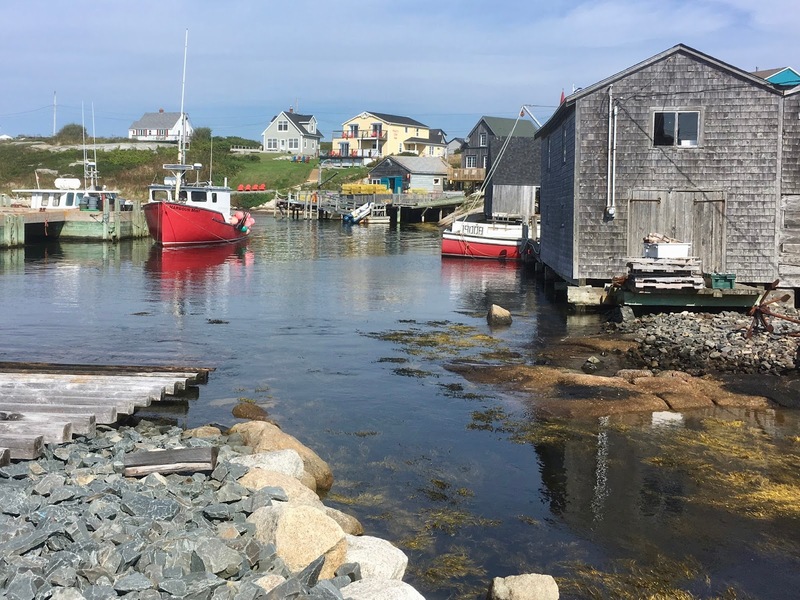 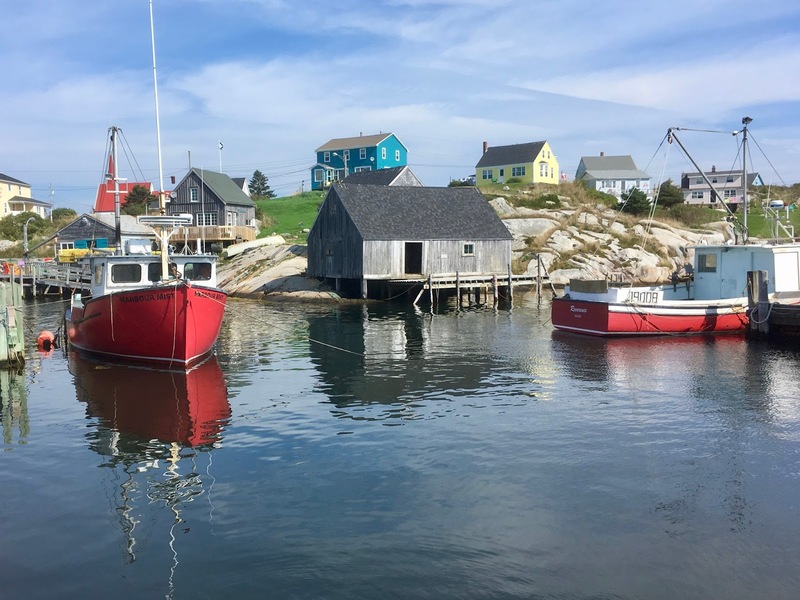 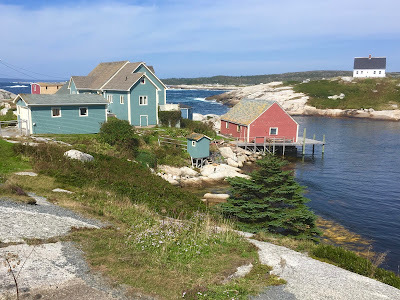 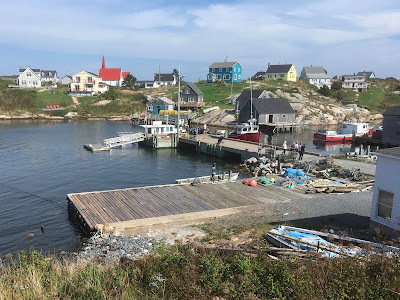 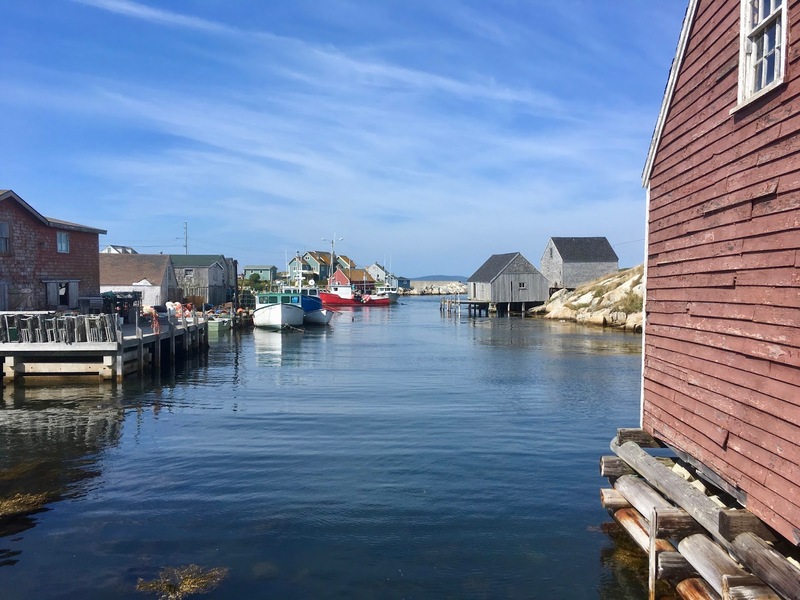 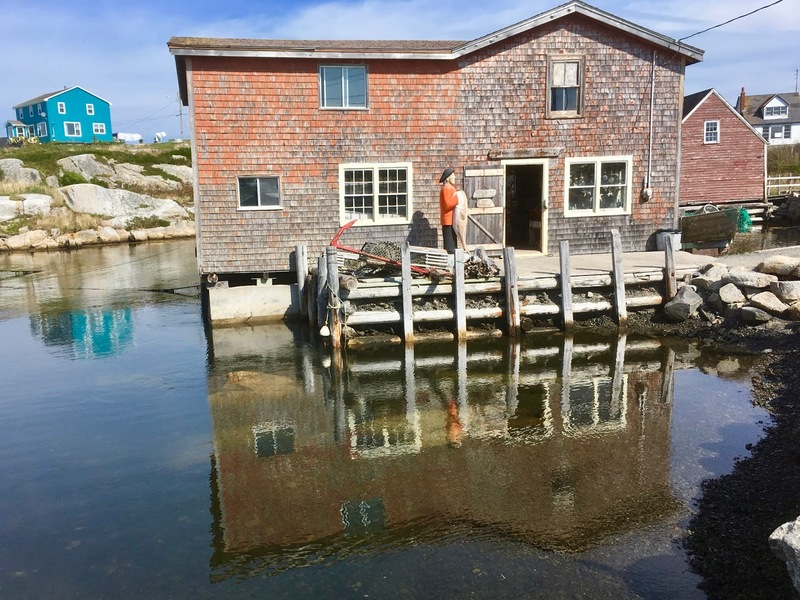 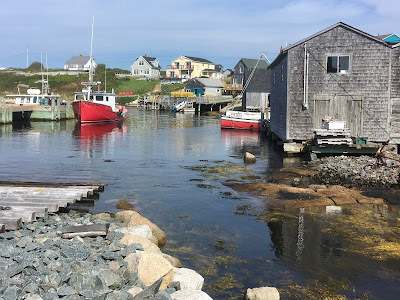 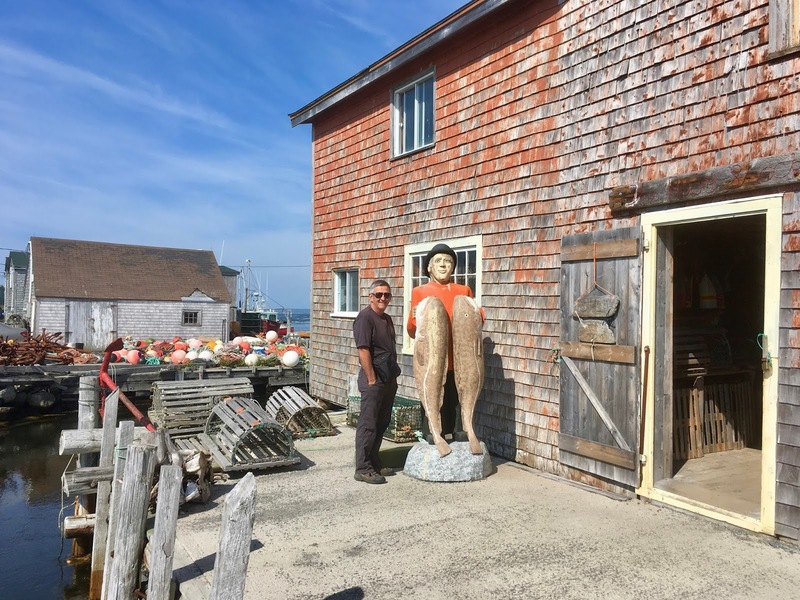 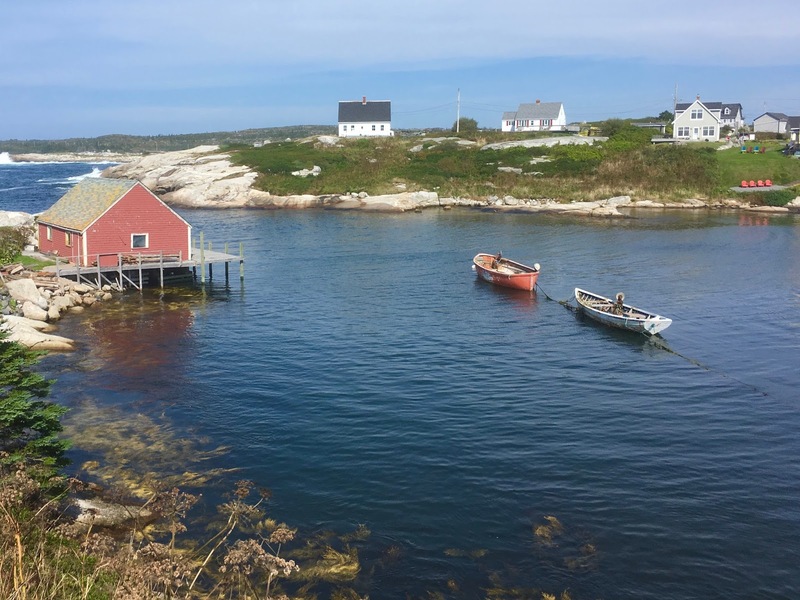 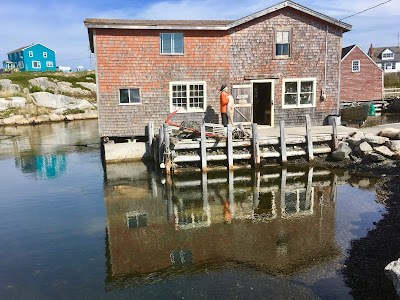 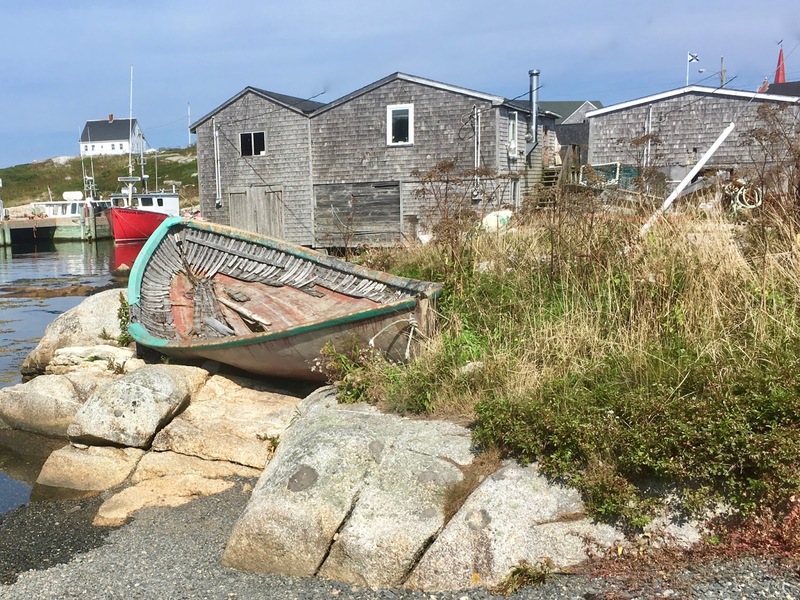 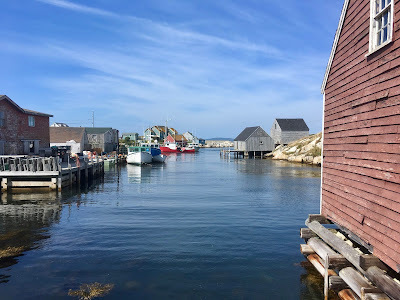 Peggy's Cove is many things - a symbol of Nova Scotia, major tourist trap, as well as a memorial to those who died in SwissAir Flight 111 that crashed nearby - and while we had received varying viewpoints about the merits of visiting the village we're glad we did.